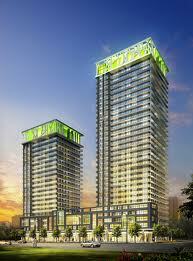 Limelight North gives you a taste of life at the centre of the spotlight. Just seconds away from the Mississauga Living Arts Centre, Mississauga Public Library, the shops at Square One, Sheridan College, and Celebration Square, Limelight North situates you in Mississauga's vibrant downtown, steps from multiple MiWay Transit routes and a short drive to Highway 403. With a suite of amenities aimed at bringing the fun to youâ€”a full basketball court, virtual golf, a private cinema, and a party room equipped with full kitchen and patioâ€”Limelight North living makes sure you're at the centre of your own lifestyle, and just minutes from your next adventure.